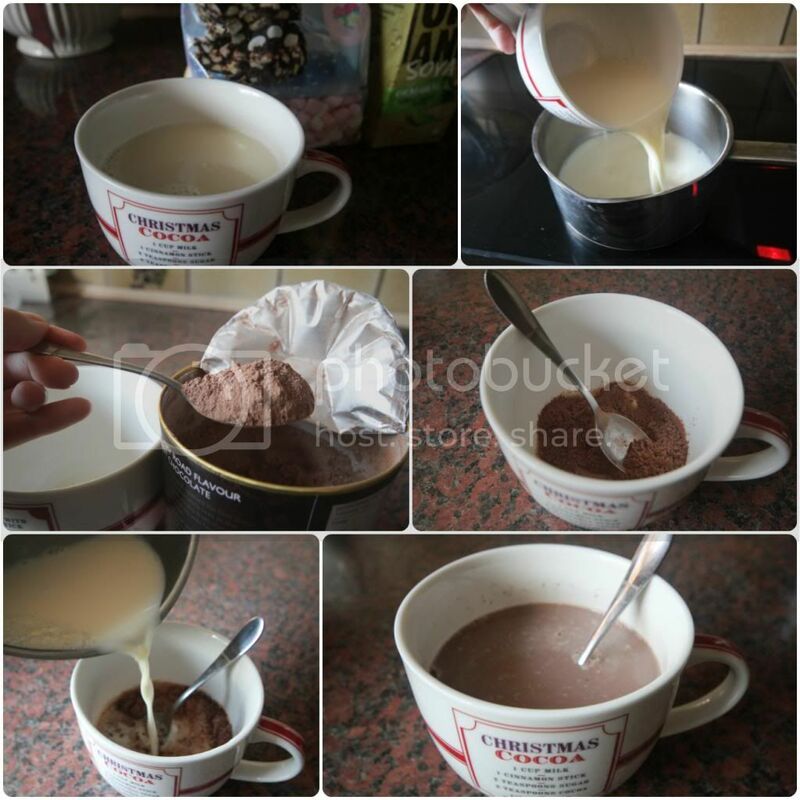 Cold winters call for some yummy hot chocolate and this year, my favourite has definitely been the Whittard's Rocky Road Hot Chocolate. There is something very luxurious about the Whittard Hot Chocolates and it feels like a treat every time I make myself one. At £5.50 per container, it may seem like a lot to spend on a hot chocolate, but each container has a net weight of 375g which works out at about 30p per cup. So actually, its even cheaper than the Options Hot Chocolate sachets which are 32p per stick! 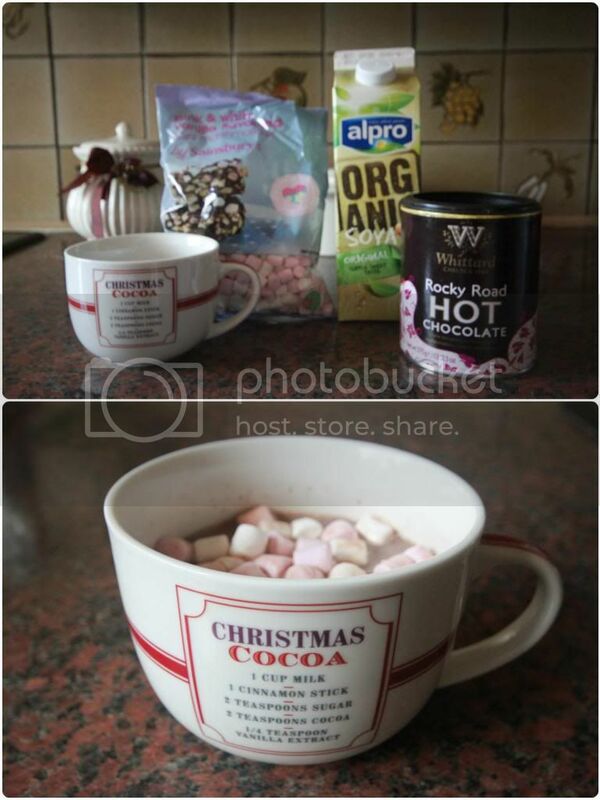 And for those who are dairy free - this Whittard hot chocolate is lactose free! 1. Pour out a cup of milk (I use soy, but that is just personal preference). 2. Pour the milk into a saucepan and heat until simmering but do not boil. 3. Whilst the milk is heating measure out 3 heaped teaspoons of the powder. 4. As you can see, I like my teaspoons very heaped! 5. Once simmering, pour the milk into your cup. P.s. You may wish to add whipped cream and/or marshmallows if you're feeling decadent! be great if you follow me back!